To write a good college essay about yourself means to know more about yourself, about your strong points, positive traits, and skills. Regrettably, human self-knowledge will never encompass all possible feelings, thoughts, and experiences of a given person. Thus, the task to write an excellent essay for college is not only complicated, but also requires a lot of efforts. Well, to speak about “excellent” autobiographical essay is far from realistic. You should know from the beginning that such an essay, which surpasses the expectations of the reader, does not exist. Even if you do your utmost, it does not reflect all your skills, important events in life, and it does not exhaust your personal character. 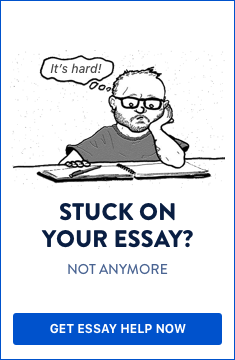 Another point is that a good essay may impress the reader and increase your chances for admission at a given university, but remember that at times, even the best applicants are not admitted. Let’s repeat it once again: it is difficult for human beings to self-define themselves, to describe their own character and skills, for the reason that human self-perception is always distorted and impartial. There is nothing wrong with that; the ideas that the others have about you complement your own self-perception. It is difficult for human beings to self-define themselves, to describe their own character and skills, for the reason that human self-perception is always distorted and impartial. In order not to be chaotic, an essay about yourself should be very well-structured and based upon several principles. As it has been stated, a perfect autobiography exists only in theory, but not in practice. On the other hand, your essay for college should meet some requirements as the following. 1. Your essay must be written as a “message” for college you are applying for. Every message has its context; there is an addressee whom you communicate with. Now, think about what effect you would like to have upon your reader. The best possible way of writing is to prove that you are the most appropriate applicant for college in question. Therefore, you’d better explain why you have chosen this college, this specific major, what is your educational background, what you can do for college, and much more. Maturity. A mature person can support their choice (in love, in life, in business, etc.) with rational arguments, and not emotionally, or in an irrational (illogical) manner. Every mature person knows what they want and how to achieve it. To be ready to take responsibility for one’s own decisions is another sign of maturity. Skills and abilities corresponding to the major/profession in question (a doctor should have excellent communicating skills, comprehensive knowledge in the realms of biology and chemistry, to be patient, compassionate, and so on). Social activities like volunteering, participation in youth initiatives, and developing own projects. Academic skills; ability to find relevant information and work with it, critical thinking; general knowledge. An essay about yourself should contain a description of given personal traits: Maturity; Skills and abilities; Social activities; and Academic skills. 3. Balance of achievements and personal defects; put stress on the most significant (according to you) of your achievements by now. Try to outline the ones, which are relevant to the context of your application. You should point out some of your personal defects, but not in such a way, which will shock the college admission committee. Remember: be moderate, but not too modest or too open. Try to show that you are an ambitious individual and have plans for professional career, and that you know that there is a lot to learn more. Having written an essay about yourself, offer it to some of your teachers so they could review it. Since they know you well, you can count upon their helpful feedback. An opinion of another person is important every single time we write about ourselves, so don’t miss this opportunity! Do you need help with writing an essay about yourself?